Holiday Inn Express &reg Pineville has just unveiled its $2 million total hotel renovation. 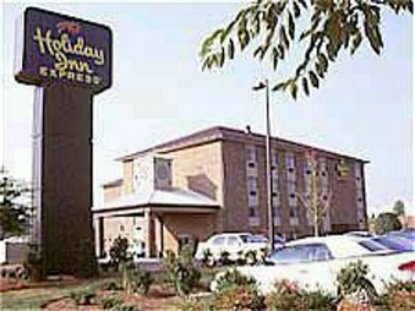 It stands alone as one of South Charlotte&regs most modern, updated hotels. The hotel has incorporated a sophisticated design and look in all 95 guest rooms and 900 sq. ft. conference room and dining area. As you enter the lobby, you&regll feel the Southern hospitality with our new granite topped arrival desk, bold new lobby lighting package, brand new carpeting, artwork and brand new upper level dining area, featuring our complimentary, signature Smart Start hot breakfast bar and the world&regs best tasting cinnamon bun. However, the centerpiece of the hotel&regs transformation is the spacious, updated guest rooms with a king bed or two queen beds. Each features a 25 in. television with over 75 cable channels, including HBO and pay-per-view movies as well as free wireless Internet. Also featured is the all new upgraded pillow-top bedding package, lighting package, carpeting, paint, artwork, spacious work desk and leather chair with ottoman. Comfort is also balanced with elegance, with our new granite bathroom counter tops, upgraded lighting package, warmly framed mirrors and curved shower rod. And for further relaxation, the resurfaced outdoor pool, surrounded by new ergonomic pool furniture, is a welcome respite for our guests. This hotel is committed to providing accessible facilities under the American Disabilities Act. If your accessibility needs are not met, please contact the Hotel Manager on Duty. Should you require additional information regarding accessible facilities for guests with disabilities, please call 1-800-Holiday (U.S. and Canada) or contact the hotel directly. For the hearing impaired, TDD service is available at 1-800-238-5544 within the U.S. and Canada.